From technological advances featuring robo-advisor platforms, to changing attitudes and demands on the part of consumer investors, the financial services industry is undergoing a seismic shift. Learn how you can get ahead of the market disrupters by future proofing your practice. 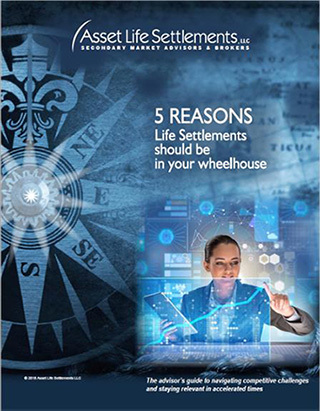 This white paper explores the current environment and reveals the five major benefits of embracing life settlements as a new area of expertise.